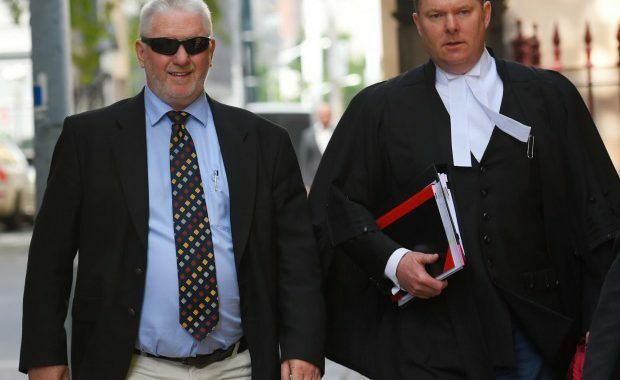 (From Supreme Court of Victoria website) Photo of Peter Geary & Andrew Tragardh. ASIC seeks civil penalties against Trevor Flugge, the former chairman and director of AWB, and Peter Geary, a former senior officer of AWB, for alleged breaches of their duties as a director and an officer, respectively, under sections 180(1) (to exercise reasonable care and diligence) and 181 (to act in good faith and for a proper purpose) of the Corporations Act 2001, arising out of the payment of ‘transportation’ fees by AWB to Iraq under contracts for the sale of wheat, and other alleged related misconduct contrary to United Nations (UN) sanctions. When Iraq invaded Kuwait in 1990, the UN imposed sanctions on Iraq that, amongst other matters, required all member states of the UN to prevent their nationals from making available to Iraq any funds or financial resources. These sanctions impeded wheat sales to Iraq by the Australian Wheat Board (AWB). In 1995, the UN introduced the Oil For Food Program (OFFP) that enabled Iraq to sell its oil, with the proceeds being held by the UN in an escrow account in New York, and permitted the sale to Iraq of ‘humanitarian needs’ which could be paid for out of the escrow account. The program was administered by the UN in New York and, insofar as AWB was concerned, involved the UN, and the Australian Government, authorising the sale of wheat to Iraq and for payment from the escrow account. The program did not remove the existing UN sanctions against making available to Iraq any funds or financial resources. In 1999, Iraq through its wheat board (the IGB), informed AWB that contracts for the sale of wheat under the OFFP were to include a payment by AWB, to an Iraqi state body, of an inland transportation fee of $US 12 per tonne for the delivery of wheat throughout Iraq. It was known within AWB that Iraq had poor distribution facilities. The IGB informed AWB the payments had been authorised by the UN. Under the contracts, neither AWB or the IGB were obliged to deliver wheat within Iraq. Thereafter, AWB paid some $223 million to Iraq under this arrangement. After the invasion of Iraq in 2003, the United States conducted an inquiry into the payment of inland transportation fees and accused AWB of acting contrary to the UN sanctions. The accusations led to a scandal that engulfed AWB, leading to the Cole Royal Commission and the ultimate demise of AWB. ASIC alleges that Mr Flugge knew that the payments were contrary to UN sanctions and Mr Flugge ought to have stopped the payments. ASIC alleges that it was well known within AWB, that AWB was engaged in conduct contrary to the UN sanctions. ASIC also alleges that in March 2000, Mr Flugge attended a meeting in Washington in which he was informed by an Australian trade commissioner that the UN were making inquiries into whether AWB was making improper payments to Iraq and that thereafter, Mr Flugge failed to make inquiries as to whether the payments had been properly disclosed to the UN. The Court finds that ASIC has not established that Mr Flugge knew that AWB was making payments to Iraq contrary to UN sanctions. The Court finds that ASIC has not established that it was well known within AWB that the payments were not authorised by the UN. The Court finds that in mid-2000 the managing director of AWB, Mr Lindberg, expressly informed the board, including Mr Flugge, of the payments and that they were authorised by the UN. The Court finds, however, that ASIC has established that Mr Flugge breached his duties as a director under s 180(1) in not inquiring into the issues raised by the UN and that if he had done so, he would have discovered that the UN, despite authorising the sales by AWB of wheat to Iraq, had not knowingly approved of the payments in the circumstances where neither Iraq nor the AWB had any responsibility to deliver wheat within Iraq. The Court is not satisfied that Mr Flugge breached his duties under s 181. The Court will consider the question of costs and penalty in relation to Mr Flugge at a date to be fixed. ASIC alleges that Mr Geary, a senior officer within AWB, also knew that AWB was making payments to Iraq contrary to UN sanctions. The Court is not satisfied that Mr Geary did know that the payments were contrary to UN sanctions. ASIC further alleges that AWB improperly used the OFFP to obtain funds from the escrow account to pay compensation to Iraq for the supply of contaminated wheat by AWB, and further, to help Tigris Petroleum recover a debt owed by Iraq. ASIC alleges both transactions involved the loading up of the price in wheat contracts, with the consent of Iraq, to obtain funds for these purposes from the escrow account. ASIC alleges both transactions involved the use of the escrow account for non-humanitarian needs, contrary to the OFFP. ASIC alleges that Mr Geary breached his duties as an officer by not taking reasonable steps to prevent AWB acting contrary to the UN sanctions in relation to those transactions. The Court is not satisfied that ASIC has established that Mr Geary acted other than reasonably and in accordance with his duties under s 180(1) and s 181, and dismisses the proceedings brought against him.